Added 25 May: Just a quick update re the Yarn Forward/Knit/Inside Crochet story. A few weeks ago ACM went into receivership and Knit which will now be called Yarnwise, Inside Crochet and one other mag will now be published by Tailormade Publishing. I'm very pleased to hear about this development and I will consider submitting to these mags again in the future. Added 22 Feb: This morning I came across this blog post and this blog post with more experiences of problems with ACM. Rock & Purl's original post (which i refer to below) has also had some excellent advice left in one of the comments about legal action, well worth reading if you're a designer still owed money & considering legal action). Another issue I forgot to mention yesterday is that lately some designers who had patterns published in Inside Crochet have seen their designs appearing in a North American publication. It seems that ACM had a clause added to their contracts meaning that they could sell on designs to other publications without any more compensation for the designer. Most magazines will pay the designer a percentage of the original fee if the design is used in further publications. You can read about this here if you're a Ravelry member. I've been wondering whether or not to post this for a while now and after reading Rock & Purl's post on the subject I've decided to tell my story. Several years ago (in 2007) I had my first design, a sock pattern, published in MagKnits, which was an online magazine based in the UK. I was ofcourse very, very excited. It was my first published design. I never got paid for it but never chased payment either. The payment wasn't that much and I was just so excited about being published. The editor of MagKnits later started up Yarn Forward. When I next submitted to Magknits I was asked if the design could be used for Yarn Forward and ofcourse I said yes. My design would be published in a proper print magazine. Very exciting. I did get paid for this design. This gave me the confidence to submit more designs to Yarn Forward and longterm readers of Yarn Forward will know that I have been a regular designer for that magazine for several years until last summer. Being published gave me the confidence to submit to other magazines and the rest is history as they say. Because of this early association with the owner of Yarn Forward/Magknits, when there were problems with the company, which there was regularly over the years, I was very defensive and loyal towards the owner. Fast forward to December 2010. 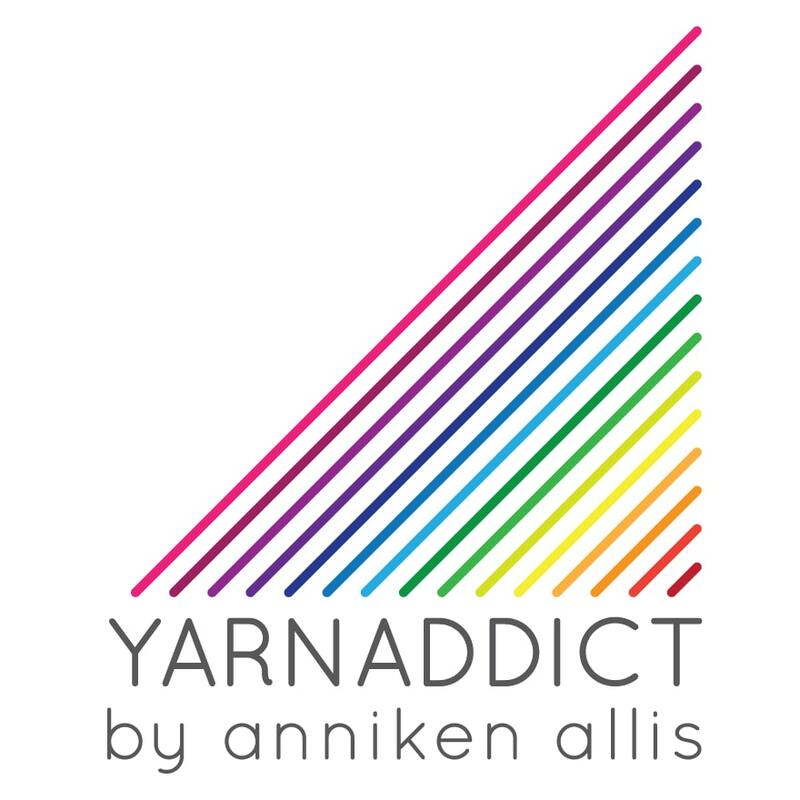 A designer friend e-mailed me and asked if I'd been paid for my recent designs for Yarn Forward as her payments were late and she'd heard rumours about the company going out of business. I checked what I was owed and discovered that one of my designs was overdue for payment. I wasn't overly concerned. They'd paid me late a lot of times in the past but i always got paid in the end. I e-mailed them and got no reply. By end of February 2011 I was owed for 3 designs and fired off another e-mail followed by a phone call to the office. I should explain how most magazines pay their designers. Designers usually send in designs and their accompanying patterns months before the magazine is published. Most magazines (but not all) pay their designers after the magazine has been published. As a designer, if you're having patterns published monthly, which I was at the time, you can easily end up in a situation where by the time you realise payments are late you've already sent them several more designs. So in March last year I wrote this post on Ravelry (you can only read it if you're a Ravelry member - basically the post is asking advice of other designers and what they would do if in a similar situation). By that time I'd e-mailed the magazine several times and received no reply or reassurances which was worrying me. In my Ravelry post, I didn't mention the magazine's name or anything that could identify the magazine. I was worried that other editors would read it and think I was being un-professional. Several designers immediately recognised who i was writing about and pm'd me to tell me their stories. Turned out I wasn't the only one who'd had problems with payments. Later the owner of this company found out about the thread and outed her own company. I was shocked when I realised how wide-spread this problem was. At the time i had several designs which I'd sent in that hadn't yet been published and one or two designs I hadn't yet completed and I refused to complete them until I was paid the money I was owed. I also had commissions for future designs which I refused to accept until I got paid and later refused altogether. To cut a long story short, as last spring went on I had several more designs published and every single payment was late. By this time I was aware of how wide-spread this problem was and designers were starting to talk more openly about lack of payments. I gradually got paid everything I was owed but I had to chase every single payment and by September last year they didn't owe me any more money. I've never submitted any more designs to them. After my post on Ravelry, a few former staff contacted me as well and told me their stories which horrified me even more. The company who owned Yarn Forward which last year changed their name to Knit (and are due to change their name again soon) also owns Inside Crochet, Handmade Living, Sew Hip, Simply Beautiful and there is a new quilting mag, Modern Quilting, coming and I've heard rumours of a vintage clothing mag too. A year ago the company was called KAL Media and as fas as I understand was owned by Kerrie Allman, who formerly owned Magknits and Hipknits. Last spring KAL Media went into liquidation and the company changed to All Craft Media which I understand is owned by Kerrie's husband. I guess this means that a lot of creditors weren't being paid when the new company took over, which is what I've been told by several former staff. The new company did however promise to pay money owed to designers but I still know of designers who haven't been paid. I don't understand how they can manage to still publish monthly magazines as so many designers are no longer willing to work for them. However, there are always new designers coming on and this company has always been good at giving new designer a chance (they gave me my first chance at being published). It worried me that those new designs either don't know what's going on or are so desperate to get published that they're willing to risk not getting paid to get published. At the moment there is a lot of talk on Ravelry about a sock club run by Knit magazine. I was asked to supply yarn for the club a year ago (while they owed me money for several designs). I said no without any hesitation. If you're interested in knowing what's going on with the sock club and you're a Ravelry member you can find their Ravelry group here and here. There's a lot of unhappy members at the moment. My reason for writing this post is to explain why I no longer design for Knit or Inside Crochet and to warn knitter, crocheters (and others who buy their other mags) and designers who are not aware of the situation about what's going on. It's not my wish to see a company go out of business but I must admit,every time I see one of their mags in the newsagent I get very angry and even more angry when I see people buying them as I know how they treat their designers. Without designers and other contributors these mags won't exist. I could go on and on and I've rambled on for long enough now. I'll leave it up to you to decide how you feel about it. If you love the mags and still want to buy them, that's your decision and I respect that. But by writing this I hope a few more knitters will be aware of the situation around this company and can then make an informed decision about future purchases. Next time I'll share some of my current wips. I'm knitting stuff I can share at the moment which after weeks of deadline knitting is quite exciting. I'm also getting very close to taking sign ups for my first online class. thankyou for that. it needed to be said. I was considering a subscription to knit magazine but I won't do that now. Thank you for championing this cause together with me - I hope we can spread the word further and make everyone aware of this situation. I think you have written this post very well and very fairly to make a point but without making a meal of it, I am one of the regular readers who buys (and enjoys!) this magazine - FOR THE PATTERNS! and I am uneasy about continuing to buy this magazine (to enjoy the lovely patterns!) knowing how poorly a lot of the contributing Designers are being treated by the many and varied ownerships of this "company". Thank you, Anni. You laid this all out with real professionalism. This has been going on long enough. I have never been paid for a design that appeared almost a year ago now and have never gotten an answer from the company about when that payment might be forthcoming. I have been following this saga on several blogs. I think it's very sensible that you have all spoken out - designing knitting patterns is your job and you'd expect to get paid for a job. It is not fair that the owners of this magazine make enough money to set up yet more magazines, yet can't find the money to pay their contributors (or the manners to explain why they can't pay). I had a subscription to Yarn Forward a few years ago but never renewed it after spotting a glaring error in one of their garments - not in the pattern, but in the actual knitting. For a magazine that so desperately wanted to be up there with the professionals, it looked decidedly unprofessional, and I've not bought it since, feeling it was a waste of money. I hope people stop buying their magazines so the owners get a taste of their own medicine and this sort of unprofessional behaviour stops. I don't design because I don't have the artistic ability. I do sometimes make up patterns as I go because I want to sell something so it needs to be individual. It's hard work! It's hard to get the idea and it's hard to materialise that idea into a reality. I so admire designers for their talent. You should all be treated with respect and in a businesslike manner. (I remember when that first pattern was published. - sooo exciting). It seems like these people want to have a business whilst treating the designers like its a hobby. Craft in all aspects has gone a long way since those days! Thanks for being brave enough to write this. I admired Kerrie for starting a knitting mag that was different & often better than the ones already around, but have felt for a good while that she seemed to try to do too much, which has clearly led to problems. What would have been wrong with having one really good mag, instead of a "stable" of them? Thank you everyone for your support. There are so many people who've been stung by this company or previous companies owned by the same person. it makes me very sad! Thanks for posting this, I wish knew all that I've since discovered, before submitting to these guys, I cannot fathom how all of this has managed to go on for so long. I no longer subscribe to or buy any knitting magazines or books. I buy digital patterns from designers via Ravelry. I no longer have to worry about storing or misplacing the magazines/books. Your unfortunate experience with getting paid provides another compelling reason to buy digital patterns from the designer. I greatly appreciate your willingness to speak out about this issue (and Ruth's as well). I'm a new designer, and I've just had my first pattern accepted for print publication. This information will help me make an informed decision about where to send my work, and to help support my fellow designers by not supporting publications that don't support them. There is just no end to the cheek of this company, is there. I remember the problems with Hipknits and parcels regularly going missing. A bit too regularly. At the time she sounded like someone who desperately wanted to run a company but wasn't really organised enough. Now she just sounds, mean and selfish. And very, very unprofessional the more I read about it.